In early 2005, a little game called Resident Evil 4 shambled its way into the hearts of millions of Gamecube owners. In one twenty-hour game, Capcom dramatically shifted the direction of the Resident Evil franchise, trading in the staple meandering, moaning zombies for faster, angrier, more aggressive villagers. Because of its unforgettably immersing environments, intense, polished gameplay and stunning visuals, critics gleefully heralded RE 4 as not only a benchmark in the survival horror genre, but as an integral influence on the future of the videogames in general. 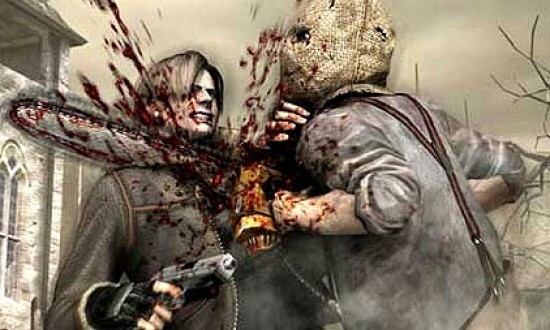 While its achievements have since been somewhat diminished in the light of many modern gaming developments, it is undeniable just how much Resident Evil 4 continues to influence the action gaming platform, even after all these years. That being said, I’ve realized in recent months that there’s one major drawback to the unyielding admiration that has surrounded Resident Evil 4. If you ask me, Capcom’s famous series has become a victim of its own paramount entry’s quality and impact. RE4’s indelibly visceral gameplay is now canon. It has cast a shadow so tall that no previous or even subsequent installment in the series can ever hope to be judged on the same level. Even the very best entries from the early days of the series have been somewhat forgotten, neglected by the perpetually onward gaze of the demanding gaming public. Everybody wants to experience the next big shift in the series, willfully shoving out of mind the defining elements of horror that made early entries in the series great. In my mind, Resident Evil Code: Veronica has suffered the most neglect, as it was the last major release before 4 first hit the Gamecube. Sure, it sold well and critics lauded it, but the release of its genre-shifting sequel has subsequently drowned all the praise that was initially garnered. This is a absolute shame, as Code Veronica still stands today as one of the greatest survival horror titles I’ve ever had the pleasure of experiencing. Whereas Resident Evil 4 represents the next big step, Code Veronica was the pinnacle of the series’ traditional values and gameplay, sporting a level of polish never before seen in the genre. It deserves every bit as much love as 4, and this little article is here to tell you why. With all of the improvements found in Resident Evil 4, it’s hard to call any element of the game “bare-bones”, but if there’s anything about it that kind of lacks some girth, it’s the story. Following in the footsteps of many previous Resident Evil titles, 4 provided a thinly laid plot that started with Leon Kennedy embarking on a covert mission to extract the president’s daughter from a small village in Spain. As with any Resident Evil game, nothing is as easy as it seems. Leon uncovers a massive cult that is being controlled by a monstrous parasite. Along the way, he stumbles upon Ada, a mysterious agent who he believed had died on a previous adventure. Ada is there to extract a sample of the parasite, Las Plagas. This is by no means a weak story, but it follows the same structure seen in most of the other RE games. RE1 basically introduced you to the sins of the Umbrella Corporation, starting you on a routine mission into an “abandoned” mansion and eventually led into Albert Wesker’s rebellion. RE2 put you in the shoes of Leon Kennedy and Claire Redfield as they uncover just what happened to zombie-infested Raccoon City. RE3’s story was almost nonexistent, sending you on a mission to escape the city before the military destroys it with a bomb. 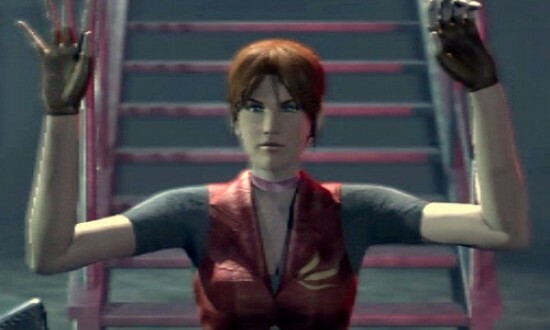 Once again, none of these through lines are particularly weak (in fact, RE2 has some great emotional moments involving the creators of the new G Virus), but nothing in the series compares to the unique and completely engrossing complexity of Code: Veronica. 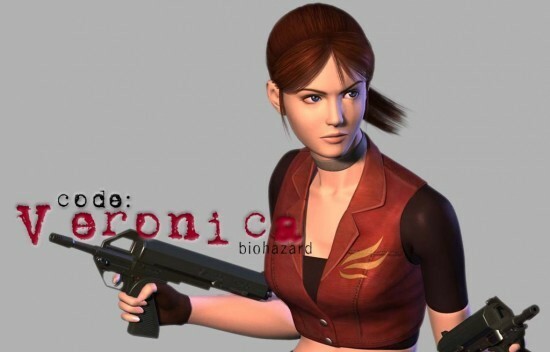 While on a search for her brother Chris, Claire Redfield and partner Steve Burnside uncover the thoroughly fucked up origins of twins Alfred and Alexia Ashford, members of a leading family in the Umbrella Corporation. Alfred, traumatized by the loss of Alexia, has been impersonating her, convincing Claire that both people are still alive. In truth, Alexia is injected with the T-Veronica virus, and is slowly mutating into something much worse than human. Meanwhile, Claire’s partner Steve is dealing with family issues of his own. He must come to terms with the zombification of his father before transforming into a deformed beast himself. Steve overcomes his mutation to save Claire in a dramatic, admittedly cheesy scene just before dying. In addition to all of this, beloved villain Albert Wesker makes a thoroughly unexpected and triumphant return. Albert has been injected with some super strength form of Umbrella’s virus, and has infiltrated the Ashford base with the intention of stealing a sample of the new T-Veronica virus for himself. No other Resident Evil game carries as many twists, emotionally engaging moments, and flat-out bizarre plot points as Code Veronica does. I will never forget the moment when Wesker first removes his sunglasses, revealing those yellow eyes, or when Steve tragically mows down his father after discovering his transformation. Resident Evil 4, while carrying the relative shock of Ada’s return, had nowhere near this level of narrative oomph. I’m still peeved that some of Code Veronica’s best creatures have yet to make a return in future installments. More than anything, I am dying to see a return of the Bandersnatch; a towering, yellow Tyrant spin-off whose single arm is imbued with a Mr. Fantastic level of stretchiness. 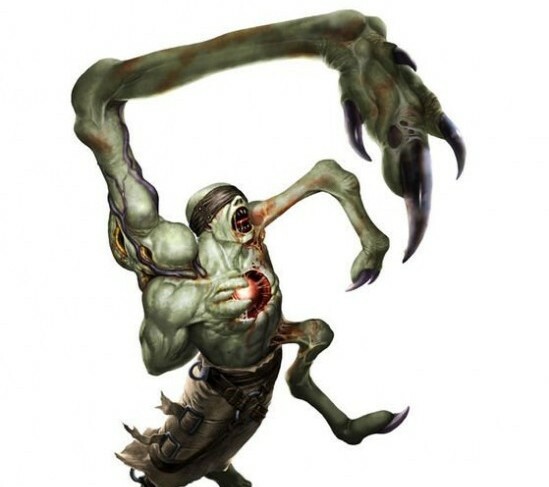 This creature will slap you with his elongated limb or grab you by the head and throw you across the room. One of the weirdest experiments in the Umbrella Corporation roster, the Bandersnatch joins RE2’s Licker and RE4’s Regenerator as the most memorable non-boss enemies in the entire series. The bosses in Code: Veronica aren’t lacking any originality, either. The aforementioned Regenerator gets a lot of praise in RE4 for its disturbing appearance, powerful resilience and unique kill requirements (use thermal goggles to locate the parasites under its skin, then blow them off with a rifle). But wait, Code Veronica did all of those things with one of its bosses years in advance. The creature in question is Nosferatu, a bound and gagged test subject and, oh yeah, Alfred and Alexia’s forgotten father. The twins considered him to be a failure, and thus locked him up for 15 years as a subject for the T-Veronica Virus. Nosferatu has four slender arms extending from his back, with which he pummels you as you try to take him down. The only way to defeat the creature is to shoot at the pulsating heart in his chest with the sniper rifle, in the exact same fashion seen years later in 4. Nosferatu gave me chills when I first saw him, and the foreboding build-up before you facing him is almost unbearable. I will admit that the Regenerator is a much more effective in the immediate scare factor, but Nosferatu’s back-story and appearance give him a ton depth. He is easily on of the creepiest figures I have ever faced in a game. Maybe I’m alone in this, but I was really bummed to see the lack of the iconic heartrate blip and “Fine”, “Caution” and “Danger” signifiers on Resident Evil 4’s health meter. I’ll grant that the new system is incredibly helpful, allowing the player to see health and amount of bullets without having to pause the game to check it every five minutes. Even so, the classic RE feeling of never really knowing just how safe or prepared you are has been sapped away. By withholding information like your health level or the amount of bullets you have at your disposal, older RE games mimicked the same kind of panic and anxiety you’d feel in an actual zombie apocalypse. If we’re blasting away at hordes of monsters, how aware are we going to be how many rounds we have left in our 15-bullet clip? How are we going to know exactly how dangerously low our health is until our adrenaline retreats and we’re suddenly in pain and limping? Well, Code Veronica found a very clever way to satisfy both of these demands. By displaying your health on the VMU, it prevented the player from having to pause every 30 seconds to check on it, but also kept the TV screen free of any indicators, so that anxious, fearful feeling is maintained. It also used the age-old blip that my heart now aches for. A lot of people complain about the VMU’s uselessness, but I maintain that this is one its cleverest functions yet. This is one element where RE 4 does admittedly stand superior. I won’t deny that at all. But up until the days of Code Veronica, nothing even came close to the same level of graphical detail as CV’s engine. The lighting effects, the intricate detailing of the graying bricks, and the disturbing qualities of every single environment struck me dumb in my first playthrough. Even today, I still get chills when I encounter some of these environments. From the barren iciness of the arctic labs, to the disturbing, almost ghostly quality of the Ashford mansion, to the inky blackness of the prison cell from which you begin the game, every environment in Code Veronica is burned into the back of my brain. The music also stands as some of the most haunting in the entire series. 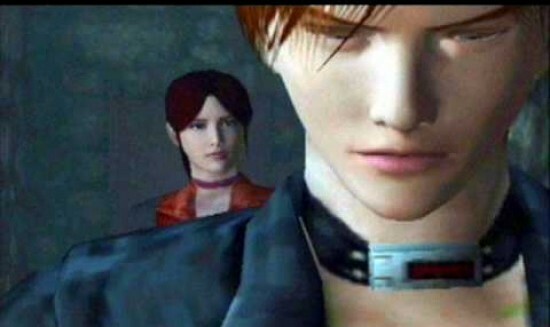 I’ll even take a leap here and say that Code Veronica’s music even surpasses that of 4, delivering some gorgeous and haunting ambiance that still sticks in my mind today. RE 4’s music didn’t feel as enthralling or epic, and had nothing as memorable or ubiquitous as Alexia’s theme, a simple, eerie tune that Alexia croons as she haunts the halls of her forgotten mansion. Nobody needs me to recount the incredible opening for Resident Evil 4. No other opening comes close. But that doesn’t stop Code Veronica’s opening video from being fantastic. The video has Claire bounding through the halls of Umbrella’s Headquarters, as helicopters blast the windows away, seemingly unable to take down a single running target. Claire bounds down a flight of stairs, where a wall of soldiers awaits her. They raise their weapons. She drops hers. Just before her gun hits the ground, Claire does a move so cool that the crappy movie had to steal it; she drops down and catches the gun inches before it hits the concrete. She blasts a conveniently placed explosive barrel, blowing the soldiers away. Just as the smoke clears, another gunman meets Claire eye-to-eye. “Don’t move,” he says. This has to be the single most exciting video at the beginning of any Resident Evil game, ever. It’s a heartpounding action sequence that steeps you in the middle of it all from the very first moment, empowering your character with super spy action, then immediately stripping it away before you start the game. Even though you start the game imprisoned and powerless, Code Veronica is one of the only Resident Evil titles that can brush the expository mumbo jumbo aside. Claire knows the villain. She knows the virus. Now it’s time to get to know just how fucked up that rabbit hole can get. Now don’t get me wrong. I adore Resident Evil 4. I have played through it more than most any other title in my library, second only to Sonic 2. I just hate to see everything that worked about the early Resident Evil titles get lost in the overbearing success of their beautifully polished but woefully action-filled sequels. Code Veronica still holds up today, as a definitive step in the right direction for the horror videogame genre. Give it another playthrough, and remember a time when fear trumped exhilaration in any survival horror game. Special Thanks to Alex Barbatsis, whose Freaky Fridays article a few weeks back inspired me to rekindle my love for Code: Veronica. Nicely written. It does seem like people ignore every RE before 4. Glad you liked it. Yeah, I’m kind of hoping that this overhaul that Capcom is promising for RE6 will somehow reincorporate some of the old elements that worked before they got rid of them, while maintaining the flowing intensity of 4 and 5. Yeah, I’m hoping they do that as well but I have this bad feeling that the series is just going to get more and more action packed. The opening of Veronica is the best RE opening and one of my personal favorites. It set up people who drop their guns but then grab them mid fall for a fatal shot for hundreds of movies to come.